Additional Info – This stone was taken from the southern church wall and restored in 1953. 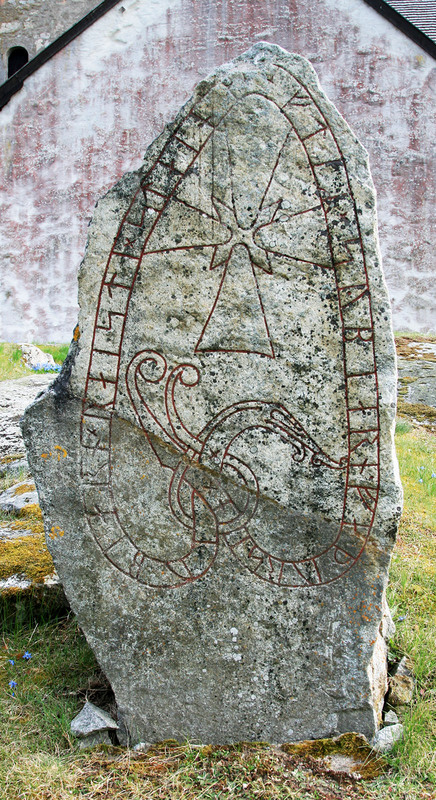 Some fragments of the inscription have memory marks telling of two stones. One fragment was discovered in 1953 in the tower’s north wall, 16 meters above the ground. In 1979 two more fragments of te stone were found in a southern farmyard wall.